A friend of mine is absolutely obsessed with Game of Thrones. I’d guess that at least a third of the conversations we have somehow include a reference to this show. Even though I’ve never actually watched Game of Thrones, I’m beginning to understand a lot of her references to it because of how much she talks about it. The more she gushes about it, the more I think about all of the series that I’d love to see brought to the small screen. All of them are so full of dazzling details about their worlds that it would take a few seasons of a TV show to even begin to fully explore what they have to offer. 1. The Earths’ Children series by Jean M. Auel. This series has it all: adventure; action, mammoths, romance, unsolved mysteries, Neanderthals, and even a stubborn pet wolf that occasionally refuses to do what he’s told. Ayla, the main character, was a human who was orphaned at the age of five in an earthquake. She was discovered and raised by Neanderthals. The Clan of the Cave Bear told the story of her highly unusual childhood. The sequels showed what happened after she was disowned by the folks who raised her and forced to eke out a living alone while she searched for signs of other humans. Without giving away any spoilers, I was not happy with how the final book ended due to how many conflicts were still left unresolved in the last scene. If this were made into a TV show, we’d have another chance to resolve those issues for the characters. 2. 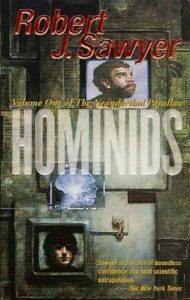 The Neanderthal Parallax trilogy Robert J. Sawyer. If only all of you knew how tempted I was to talk about nothing but Neanderthals today! I love stories about them, and there are a lot of great ones out there. I might just have to blog about them on a future Saturday Seven post. The unusual thing about this series is that it’s set in the present day. Ponter Boddit, the main character, accidentally pierced the veil between his Earth and our own early on in the plot and ended up accidentally getting transported to our universe. On his alternate version of Earth, humans died out tens of thousands of years ago while Neanderthals like him had become the dominant species. I can’t tell you anything about the Neanderthals’ version of Earth without giving away major spoilers, but I was fascinated by all of the cultural and physiological differences between them and us. Some of them were things that I never would have thought of as a possible difference between our two species. 3. 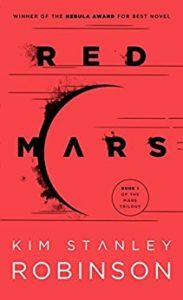 The Mars trilogy by Kim Stanley Robinson. This series immediately came to mind when I saw the film The Martian a few years ago. Colonizing Mars would be an incredibly expensive and difficult endeavour for the first few generations to do it. Based on how much audiences loved watching Matt Damon’s character figure out how to survive alone on such a harsh planet, I think there would be an audience out there who would like to see Nadia Cherneshevsky and her team struggle to create the first Martian settlement. 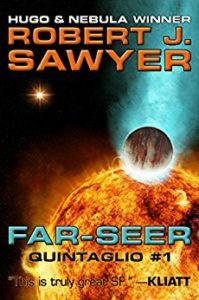 Future generations in this trilogy even eventually terraformed Mars into something very Earth-like with lakes, forests, and everything else you’d expect from a habitable planet. How cool would that be to see on the small screen! 4. 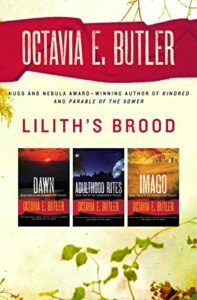 The Xenogenesis trilogy by Octavia E. Butler. This series began with a massive nuclear war that (supposedly) killed every last human on Earth. The main character’s husband and son were among those dead. When she woke up in an unfamiliar place hundreds of years later, she had no idea why or how she was still alive. It turned out that an alien species called the Oankali had intervened at the last possible moment and saved a small percentage of humanity from certain extinction. That paragraph alone could provide enough fodder for the first season of a TV show, and that barely scratched the surface of everything that happened in this trilogy. Not only did the main character have to grieve the loss of her family, she had to figure out why the Oankali had saved a small percentage of humanity and what they wanted from us in exchange. 5. The Quintaglio Ascension trilogy by Robert J. Sawyer. I have five words for you: intelligent dinosaurs who can speak. Afsan, the main character, was about to go through a rite of passage that would make him an adult in the eyes of his society when this tale began. His species worshipped a heavenly body known as the Face of God. Every Quintaglio (which is their name for their reptilian species) must go on a quest to observe it when they become an adult. The problem was, Afsan noticed something about the Face of God on his journey that contradicted a major tenant of his religion. He then had to decide whether to reveal this knowledge or keep it to himself. The world building was extremely well done. Afsan had a deeply reptilian understanding of the world, and it showed in how he responded to all kinds of situations that a human would have a completely different response to. For example, the way his species treats their young is nothing at all like how humans treat their young. He would be as horrified by some of our practices as we would be of his, and that would make for must-watch television in my opinion! 6. 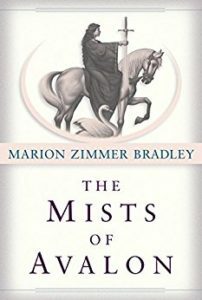 The Avalon series by Marion Zimmer Bradley. I was never particularly into any Arthurian legends, but I loved this series immediately. The Mists of Avalon retold the legend of King Arthur from the perspective of his sister Morgaine. While The Mists of Avalon was technically made into a mini-series many years ago, the next six books in the series have never received the same treatment as far as I know. They really fleshed out this world, though, and I think it would be wonderful to finally see the entire story from beginning to end on the small screen. One of them, Ancestors of Avalon, even described how and why Stonehenge was created. Sadly, I’ve forgotten most of the plot of that book, but now I really want to reread it. I am just a little bit obsessed with Stonehenge in general, so it would be really cool to see those scenes come to life. 7. 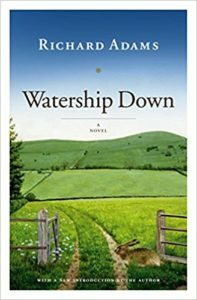 The Watership Down series by Richard Adams. Anyone who has read this blog for a long time and remembers how much I love rabbits won’t be surprised by the final entry on my list at all. I can’t imagine many things more interesting than an entire TV show about a warren of rabbits who are desperately trying to find a new home. While there were cute and fuzzy moments just like you’d expect from this species, there were also a lot of heart-pounding action scenes. Life is frightening and dangerous for prey species. This is even more true when a large group of rabbits are trying to move to a new home through completely unfamiliar and often dangerous territory. I think this book would make a fantastic TV show because of that. Have you read any of the books on my list this week? What series do you wish would be turned into a TV show? I had no idea that the BBC did a version of Watership Down in 1999. Interesting! SOme of these were turned into movies, weren’t they? The Cave bear and Watership down, I remember being int he theater. Mists of Avalon was a TV series a while back with Julia Margolies and Angelica Houston. I think that one should def. be remade, just like GOT, because the story is sososos rich. It could go on for several seasons. Great post! Yes, Clan of the Cave Bear was turned into a movie back in the 1980s. The rest of that books in that series weren’t, though, and I think it would have worked better as a TV show. There was a lot of foreshadowing in the first book that was referenced again later on. But I had no idea that Watership Down had been turned into a film! Yeah, there is nothing like waking up slowly on your own time. It’s blissful. I hope you enjoy the books that caught your eye today. 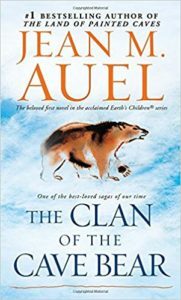 Clan of the Cave Bear was definitely the best book in that series. I’ve read a lot of Kurt Vonnegut’s stuff, but I haven’t read Sirens of Titan yet. I’m not sure what I’d have made into a movie or tv show. So many books I love were made into programs and weren’t done all that well. I could name a couple, but I won’t in case they’re favorites of someone else LoL. I’m sorry to hear that you weren’t happy with how some of the books you liked were made into various programs. I’ve been there, and it’s not fun. Wow, nice post. There are some here that I’ve read and some not…but then learning about new books is a really fun part of Saturday 7. Thank you. I couldn’t agree with you more there. I’ve discovered a lot of new authors through Saturday Seven. Hey tһere fantastic blog! Does running a blog similar to this take a maѕsivе amount worк? sսbject nevertheless I just wanted to ask. Thank уoս! Hello! Thank you for your kind words. No, it doesn’t take a massive amount of work to run a blog like this. You can sign up for a free WordPress blog and it will give you the option of choosing between several different pre-designed layouts. This explanation of how to do it is the simplest one I can find: http://www.molly-greene.com/how-to-set-up-a-free-wordpress-blog/.